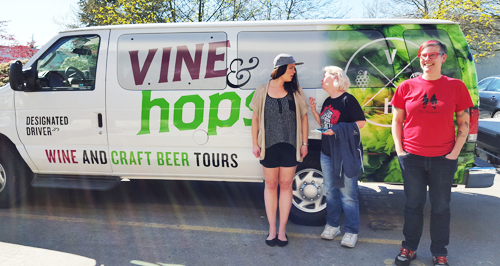 A couple of weeks ago I had the pleasure of being invited to a special beer tour put together for beer bloggers as an introduction to the Vine & hops Wine and Craft Beer Tour Company. From what I gathered, they are targeting clients who are interested in customizable private tours as well as running public pre-determined tours, hoping to get people out to some of the amazing breweries outside of Vancouver proper (like Four Winds Brewing for example). 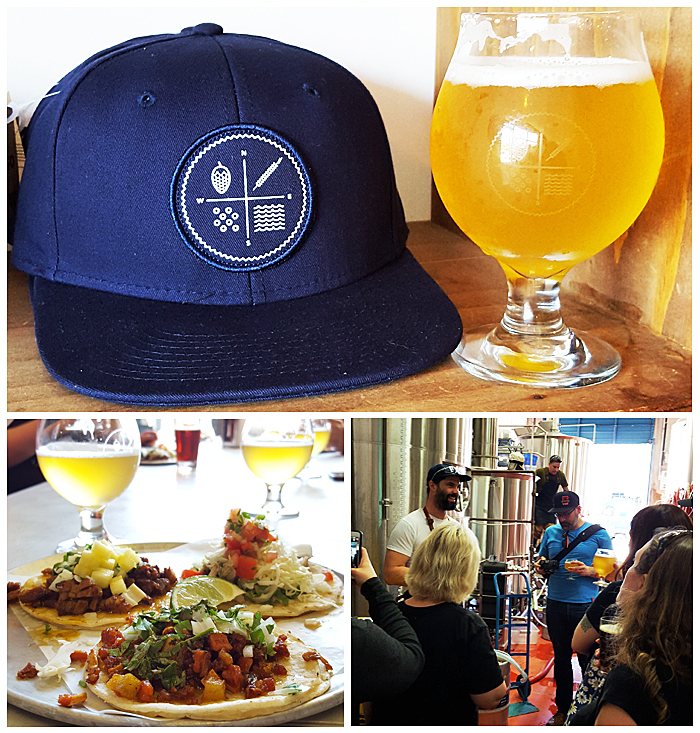 They boast providing “customized, behind the scenes tasting experiences” for local craft breweries and wineries around the lower mainland and we literally got a taste of what this experience is like with our tour. In the spirit of full disclosure, this tour was provided free of charge to myself and other bloggers who joined us on the trip. How Was The Overall Tour Experience? Our tour was graciously co-hosted by wine Sommelier and beer fan Ashley West and seconded by self proclaimed beer gangster Jayden Grundy (to learn more about them and their experience please click here). 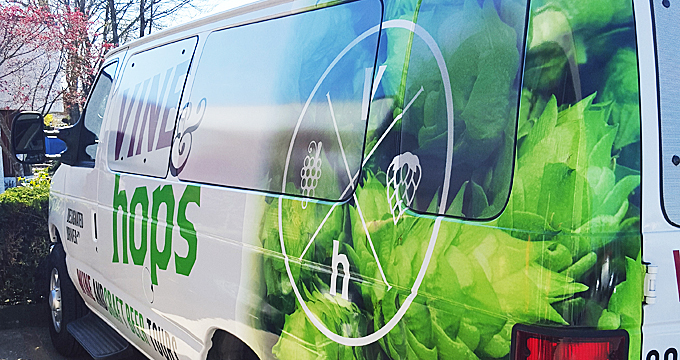 Prior to the tour we were given a couple of options for pick-up locations along transit routes or, as many of us opted too, we could simply meet them at the first brewery stop of the tour to get it going. Jayden drove us around in a clean, spacious, good running condition branded van that was stocked with snacks inside to keep us comfortable and occupied while Ashley kept us entertained with beer information, questions and tales between brewery stops on a beautiful sunny afternoon. We stopped at four distinct breweries who gave us a tour of their brewing facilities and several samples of their beer with some bonus food options at two of them. The tour lasted about 3 hours, which felt like it left just the right amount of time to spend at each brewery to enjoy the beer, the tour and get to know what they were all about without feeling rushed or like we’d over stayed our welcome. 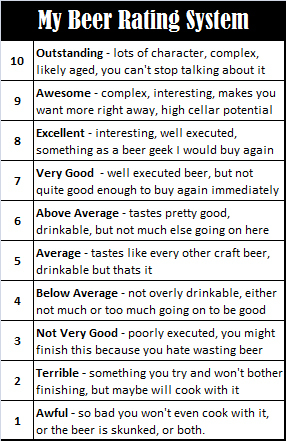 At the final stop, we played a beer trivia game where I almost won a growler fill (one answer away!) before folks were dropped back off at a common transit friendly location to officially end the beer tour. 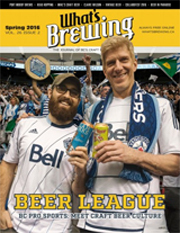 As previously mentioned I thought it was well paced, well run, informative and of course we had a great time drinking the beer and seeing some behind the scenes workings of some of BC’s newer or re-vamped breweries. If you are interested in a custom or public tour, please check them out as they know their stuff and have a lot of interest and enthusiasm directed towards ensuring that you have a good time with them. Here’s some details below about each brewery we visited with some pictures and my thoughts on the beers and locations in order to give you a general idea of what to expect on a tour like this. 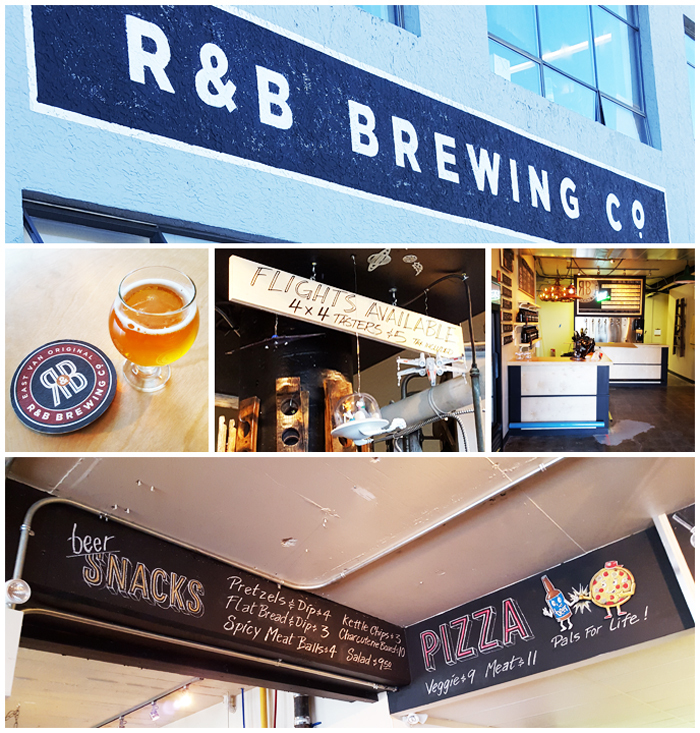 R&B has finally built a proper lounge and growler fill station at their brewery on Quebec St and 4th Ave and after seeing it for the first time I can’t wait to go back there and test out the full service lounge in the near future. They have a food primary location which means they will also serve some wine, cocktails, pizza and other food options in their new and very unique looking lounge which has all sorts of reclaimed products in it. For example they have a cool looking stove, an X-wing hanging from the ceiling and walls filled with working speakers of all types and ages which play music. It reminded me of something you’d see in Portland, Oregon. We tried a few different beers including their Mount Pleasant Lavender Saison, their Stolen Bike Lager and a Vancouver Special IPA all of which were nice in their own way, but the Special IPA was my favourite of the mix. With the line-up of beer on tap, cask engines and other types of drinks and food available combined with its atmosphere, I firmly believe this place will play quite well with the local and tourist crowd! One of only three fully organic breweries in BC, Dogwood is located in a South East Vancouver facility near the Knight Street Bridge. They have a cozy lounge up front that has a nice artistic feel to it with a massive brewing space behind the scenes that has lots of room for future expansion and storage. 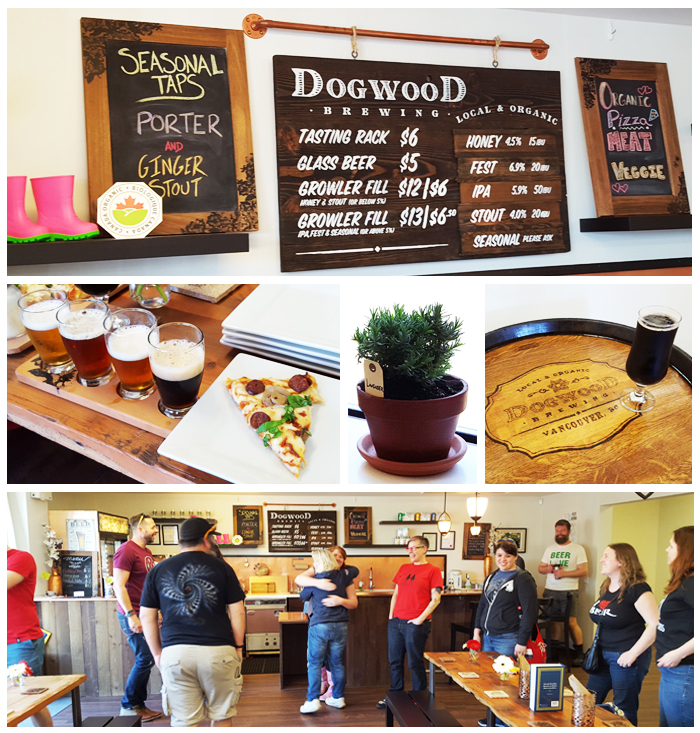 We were welcomed at the door with a seasonal Ginger Stout, were toured through the facility and kindly served a taster tray of their core lineup beers with some amazingly good organic pizza to snack on while we drank. They were kind enough to also let us sample a sneak peak of their new Gose, which was a Pink Boots Society International Women’s Collaboration Brew Day Beer. My personal favourite of the bunch was the core line-up organic stout, which at 4% abv was fully flavoured, roasty and well balanced. BC still lacks good quality lower alcohol stouts, so it’s great to see another option I can see myself buying locally and enjoying. It feels like these guys have been contract brewing forever, so I was happy to see them open up shop in a Richmond, BC location near the Hwy 99 tunnel access from Steveston Road which is easy enough for me to get to for the occasional growler fill. 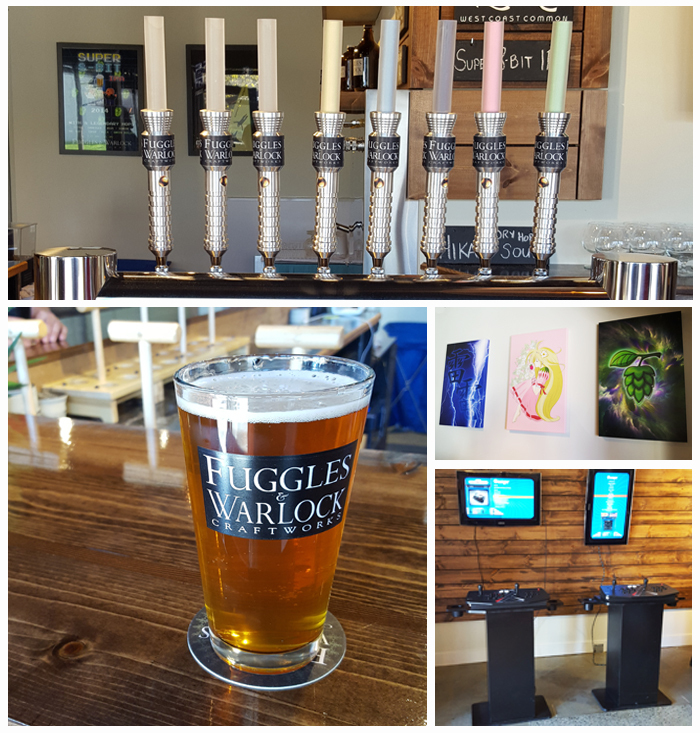 In the tradition in keeping beer weird and interesting, the brewery features an arcade style video game area, a growler filling station, an art wall and of course lightsaber themed tap handles at the forefront of the bar where they pour the beer. Like Dogwood, they have an absolutely huge brewing space with loads of storage and plenty of room to expand brewing capacity for years to come. We were served a sample of a new beer which I’ll hold off on describing so as not to give it away and were also given a couple pours of our choice from the bar. I was very impressed with their Super 8-bit IPA, which has improved greatly since they started brewing in the new facility and delivers a nice malt and hop punch that I crave in IPA’s. With a good location, decent beer and a fun gaming atmosphere I’m sure they’ll do well here. I’ve been to Four Winds a lot, so there wasn’t much new for me to see here, however it was great to hear a lot of information on some of their plans to brew more and efforts to expand their license to full lounge. What was even more awesome though, was that we got to try out their amazing new lunchtime street tacos, all of which tasted mind blowingly amazing. The roasted cauliflower one is so far the leading taco of choice, but priced at a few bucks each you can afford to order and try many different options in one sitting so do try them all. We were given a couple different beer pours of our choice to consume during our meal and we played a trivia game at the end for a chance to win a growler fill from the brewery. As always, Four Winds makes amazing beer and I tried a couple beers on tap that I’d hadn’t recently gotten around to sampling yet. My favourite of the day was their cider/beer combo collaboration Exil d’Eden that they brewed with Le Trou Du Diable from Quebec, which was quite unique, dry and palate pleasing. Again, reiterating the fact that that I enjoyed the tour, based on the online pricing I feel that even if I had paid for it that the value would have been quite good. The beer alone would have been $40+ when you factor in taxes and tips (if not more), the transportation makes up for the rest easily and any food served was a pleasant bonus. We all left the tour warm and fuzzy with a good feeling about the whole experience so I wanted to say a big thanks to Ashley and Jayden for having us out there, oh and for the beer glass too which is always useful (see below)! That was a really fun tour wasn’t it? Glad you could make it out.